Cereal is a breakfast staple in many households, so keep your budget balanced by using coupons to make your family's favorites as inexpensive as possible. From couponing websites to product websites, there are plenty of places to find cereal coupons - in fact, several will even deliver them straight to your email inbox. 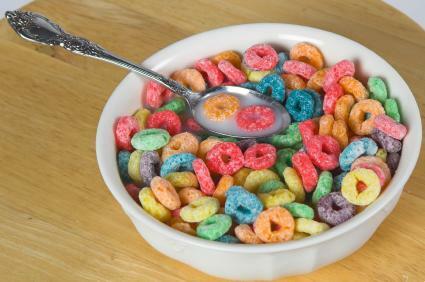 Peruse a variety of sources to find the best deals on cereal coupons. Post: Visit Post's Coupons & Promotions page to find offers that include deals like buy several boxes of cereal and get milk free, and money off particular varieties of cereal. General Mills: Offered through The Krazy Coupon Lady, you can select the coupons you want from General Mills by selecting a box, and then download them to you smartphone. Kashi Cereal: Kashi's website has a Coupon section that will have any available offers. If there aren't any current ones, you will find a short note, inviting you to check out their community. Kellogg's: Find easy-to-read coupons on Kellogg's page. To clip and print them, you need to register with Kellogg's first. Quaker Oats: Sign up for Quaker Oats' newsletter and stay updated on offers, coupons, and other specials related to coupons and deals. Basic coupon websites usually offer a variety of cereal coupons you can use. TheKrazyCouponLady.com: Find all your favorite brands in one place when you visit TheKrazyCouponLady.com. To use the website, select a coupon. From there, you should be able to print your coupon. You can also use the search bar at the top right to see if any of your favorite brands are offering promotions or coupons. MySavings.com: Get a number of grocery coupons, including cereal coupons, from a large number of other providers on one website. Sort by brand to find what you're looking for in the most efficient manner. Additionally, you can print coupons using the widget below from Coupons.com. Follow your favorite brands on Twitter, Foursquare, or Facebook. You may find yourself with coupon offers when you follow them online. For example, both General Mills cerealss and Kashi have Facebook pages that you can "like." Once you have liked them, you'll have updates on their products and deals right in your newsfeed. Sunday inserts: Check the advertisement section of the Sunday paper. There are frequently coupons for different cereals available for cutting out of the coupon inserts. Cereal boxes: Check the front of cereal boxes you're purchasing to see if they have a sticker that can be used upon purchasing; otherwise, look on the back and see if they have a coupon on the box for your next purchase. Couponing club: If you're a member of a couponing club or host coupon parties where savers exchange coupons, see if they have your favorite cereal coupons the next time you get together. Start your day off the right way by having an affordable breakfast that includes cereal. Use the best places to find cereal coupons in order to get the most out of your money and begin your day within budget.